Square Enix Flip Flops Again: After Being Pulled from the App Store ‘The World Ends with You’ Won’t Be Updated to Support iOS 8? In what is turning into a bigger set of mind-games than the one that plays out in the game itself, Square Enix has announced on both its English and Japanese support pages that service for The World Ends With You: Solo Remix has come to an end. They go on to say that although the game will still work if you have it downloaded (unless you’re on iOS 8 or higher, I suppose), it will no longer be able to be downloaded from here on out. I’m guessing they mean no new purchases, since it’s still showing up in purchase histories, but it might be wise to back it up at this point if you haven’t already. This whole affair is starting to become a soap opera. 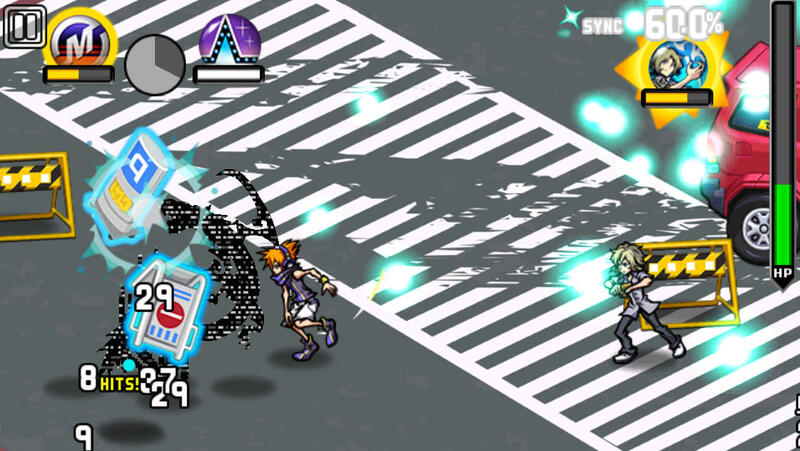 The World Ends With You was one of Square Enix’s many games that didn’t work with iOS 8 due to certain file system changes. A few weeks ago, some fans who were tired of waiting for Square Enix to update the game sent in emails asking what the status was, only to be told by a representative from the North American branch that the game would not be getting updated at all. People were understandably upset, as the game isn’t very old, carried a premium price, and from the sounds of things, restoring compatibility involves a relatively minor fix that the jailbreak community has already figured out. I decided to follow up with Square Enix Japan, and was told a few days later that an update was definitely coming, but it was uncertain when it would be finished. Some other members of the community received similar emails in the following days from the English side of Square Enix, and it looked like all was well in the kingdom once again. The game was pulled from the App Store late last week, which I had assumed was a temporary measure to prevent anyone from buying it while it was broken, a procedure we often see with companies like id Software when compatibility breaks. Instead, if this week’s story is to be believed, this is going to be permanent, leaving The World Ends With You: Solo Remix forever broken from iOS 8 forward. It’s a pretty crummy thing to do given the circumstances, so I guess we’ll have to hope the story changes again. In the mean time, it couldn’t hurt to politely let Square Enix know what you think about the situation via Twitter, Facebook, or whatever other means you have at your disposal. Remember, be polite. Don’t make me take off my belt.